The spicy soup that I greet you with today is an absolute hit at my house. 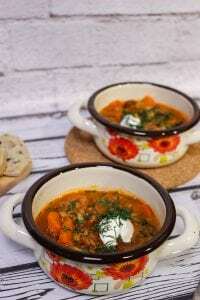 The recipe for this soup was born in by my head by accident when I happened upon a packet of green lentils in the kitchen cabinet. Lentils are perfect in a vegetarian diet as it can replace meat thanks to its high fiber content. However, I could not resist and I had to add some paprika sausage to the soup. Without the slightly spicy taste of sausage, I cannot imagine this soup. 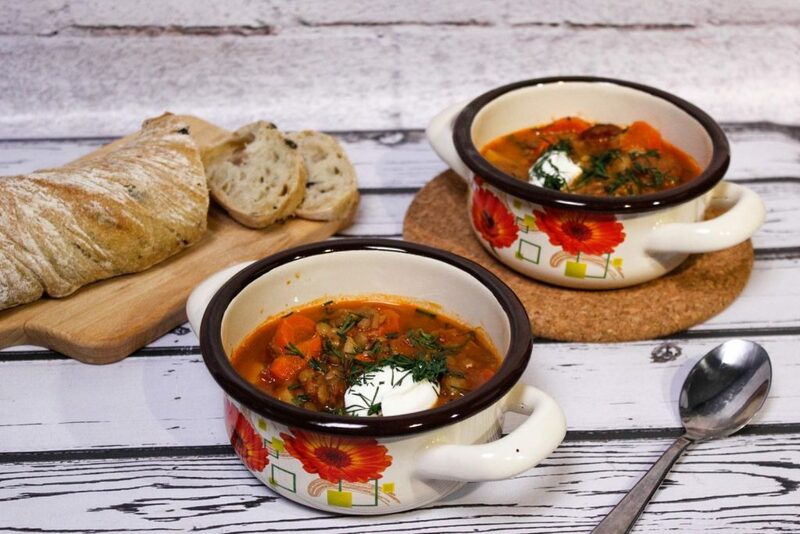 Though, if you are a vegetarian yourself, you can cook this soup without the sausages and add some chili pepper instead. Ingredients You need to make lentil soup. How to make spicy lentil soup. Soak the lentils for two hours in cold water before cooking. Cut the sausage into thin slices and fry them over low heat. When the sausage begins to release its fat, add water to it and vegetables like carrots, celeriac and parsley cut into small cubes. The carrots and parsley can also be cut into rings. Add the soaked lentils and canned tomatoes. Increase the heat and bring the soup to a boil. When the soup begins to boil, cover the pot with a lid and simmer until the soup becomes thick. It should take around two and a half hours on a low heat. Season with salt pepper according to taste. Serve with a dash of sour cream and freshly chopped dill. What You need to know when making green lentil soup. As usual, I used cream without lactose. You can use standard cream if you have no lactose intolerance. If you want the soup to be very thick, just simmer it longer. The soup is very filling, therefore it can definitely be served as a main course. 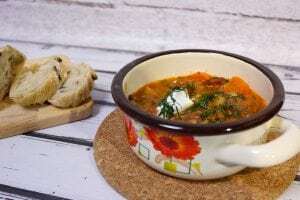 In addition to the sour cream and dill, you can serve this soup with some fresh bread as well.